Following Hammer's one and only attempt at the werewolf subgenre, 1961's The Curse of the Werewolf, it seemed that the cinematic lycanthrope was finally ready to go into hibernation. 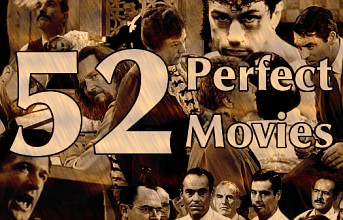 From Henry Hull to Lon Chaney to Oliver Reed, it appeared that one of the movie's classic monsters had run its course. But there were much brighter days ahead. And meanwhile, as the werewolf ducked out of sight in the English-speaking world, there would be one man who would keep the creature alive during the dark days of the 1960s and 1970s. That man was the Spanish film jack-of-all-trades, Paul Naschy. As the Spanish horror industry waxed during the '60s, Naschy was there to represent for the wolfman, mainly in the role of screenwriter. Beginning with The Night of the Wolf Man (1968), Naschy was responsible for a total of ten Spanish werewolf films, eight of which were put out during a time when the U.S. was decidedly mum on the subject. 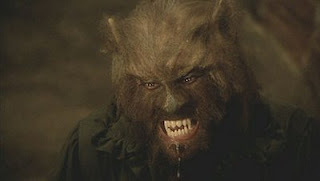 Yes, they were cheesy and garish, but Naschy's exploits as wolfman Waldemar Daninsky are nevertheless cherished by werewolf aficionados the world over. 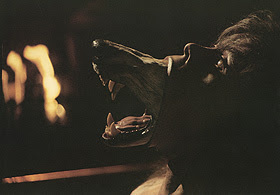 Meanwhile, States-side, it had been ages since a major werewolf film had truly rocked horror fans to their foundations. That would all change at the beginning of the 1980s, when what was old was made fresh and new in not only one of the most revolutionary werewolf films, but one of the most revolutionary horror films of all time, John Landis' An American Werewolf in London (1981). A scathing horror satire, AWIL was almost single-handedly responsible for rejuvenating what many had written off as a tired vestige of the bygone Universal days. But Landis' film refused to accept such a pronouncement, paying homage to earlier movies while also boldly charting new territory. The makeup effects of Rick Baker gave us a movie werewolf unlike any we had seen before, decidedly less human and much more animalistic, resembling much more a wolf than a man. And the transformation effects would become the stuff of legend, landing Baker an easy Oscar and raising the bar for any filmed metamorphoses since. More visceral, more graphic, and more realistic than any werewolf film seen before, An American Werewolf in London raised the entire subgenre from out of oblivion for the first time in two decades. All of a sudden, lycanthropes were cool again. And a renaissance of werewolf cinema ensued. In fact, with all due respect to the 1940s, it would definitely not be an exaggeration to call it a "golden age" of sorts. Certainly no other period before or since the 1980s gave us such a plethora of quality werewolf movies, one after the other. In actual fact, it is somewhat unfair to credit it all to AWIL. 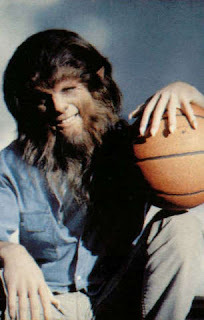 Although it was the most influential, the summer of 1981 saw two other modern werewolf classics hit the screen. The first was Joe Dante's The Howling, another effective horror comedy that paid homage to the established mythos, with a star-studded cast of genre faves such as Patrick MacNee, John Carradine and Kevin McCarthy. Then there was Wolfen, based on the Whitley Streiber novel--a much more serious and straight-ahead horror story than the other two. Three years later, visionary director Neil Jordan gave us The Company of Wolves, an excellent horror/fantasy that blended the werewolf mythos with traditional fairy tale elements, resulting in a bizarre Brothers-Grimm style take on the subject that brought something truly new to the table. Clearly, the creative imagination of many had been sparked thanks to the werewolf rebirth. The decade would see Stephen King's novella Cycle of the Werewolf get adapted into Silver Bullet (1985), starring '80s icons Gary Busey and Corey Haim. There would also be Waxwork (1988), a decent take on the old wax-museum subgenre which incorporated a werewolf into its cornucopia of movie monsters. So successful was the werewolf boom that, by the latter half of the '80s, the signs had begun to show that it was crossing over into that one area that, while always entertaining, also usually signals the beginning of the end: parody. Just like that, the werewolf had returned to its more Wolf-Man-like earlier incarnation, abandoning the work established by Landis and Dante in favor of a less-threatening approach that took itself far less seriously. Once again, it seemed like the werewolf had returned to the realm of the hokey and the decidedly unscary. Funny how that cycle swings back and forth, isn't it? With the exception of those endless Howling sequels, werewolf movies would return to the void for the most part once again. They had enjoyed a true golden age, one which has yet to be equalled. But that doesn't mean the story is over. 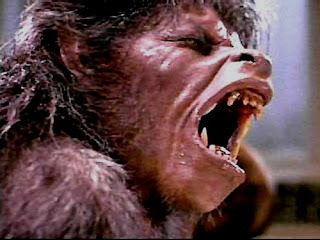 Because just like any movie monster worth its salt, the werewolf--or should I say lycan?--would eventually rise again. Soon to Come: Part 3 - "Rise of the Lycans"
Part 1: "...And the Moon Is Full and Bright"
Ha! So glad you mentioned the "Monster Squad". Seriously, that was the first werewolf movie I remember seeing as a kid (I think I was about 3 or 4 at the time) and I can for surly say it got me hooked into everything else that was to come. REALLY can't wait to see the new "Wolf Man". It looks killer! Awesome article. Thanks Grim, glad you liked it. I almost forgot to write part 2! It's great to see Part 2. An American Werewolf in London made me TERRIFIED of werewolves. Great film, of course, but I think I saw it way too young! To this day nothing scares me more than werewolves. I have to cover my eyes at the changing scenes, and I'm 27 years old! I still LOVE The Monster Squad, though. Excellent post. I always thought that A Company of Wolves was one of the weirdest movies I ever saw. Wonderful essay--I can hardly wait for Part 3. One minor quibble--WOLFEN was written by Whitley Strieber, not Peter Straub. It's a fun little book, and I've read it four or five times. I've always loved your history lessons and this entry is no exception. 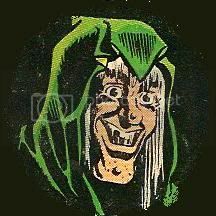 And it's also admittedly an area of horror that I'm fairly unfamiliar with. Guess I'll have to hit the net and my local stores to try and get a hold of some of the less popular titles. And as great as the transformation scene in AWIL is, was it necessary for Landis' to draw that entire 'stuck in the apartment' scene on for so long? It drives me nuts from a flow standpoint. I never felt that way about it, Gord. I thought the scene really got across the claustrophobia, boredom and desperation that David was going through. 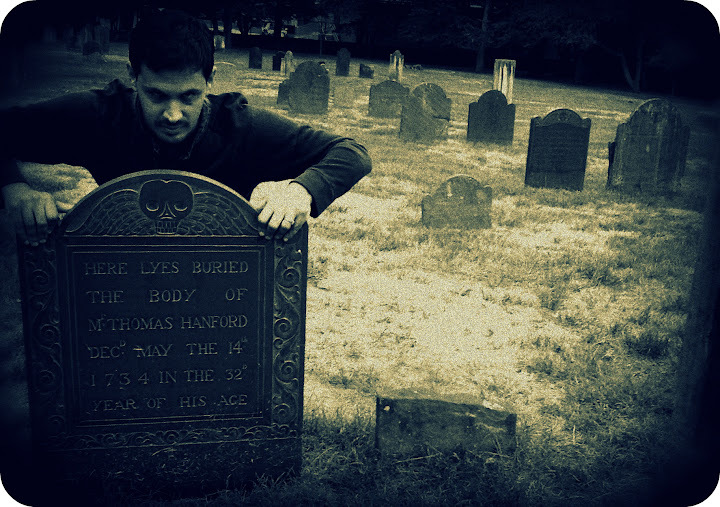 Glad you like the history stuff, happy to be your guide on the road to greater horror understanding! An American Werewolf In London and The Howling are two of my favorite horror movies. I like how those movies have more horror than comedy. I'm looking forward to part 3! Sorry to hear that, little dude! Well you'll still be an honorary member of our little group. Perhaps that's the reason I hated it so much then. It made me crazy anxious and fidgety. When I watch it again with my GF (she's not seen it), I'll have to re-evaluate it.